I can’t believe that my next major trip is about a month away! 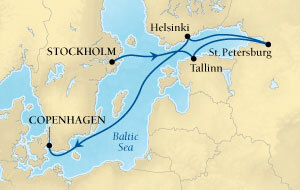 This trip will bring me to seven new countries and will be my second trip on a Seabourn cruise. I’m really excited for this trip and I need your help! Have you been to these cities? What do you recommend to see and do? Anything to avoid? What treasures should I pick up in each city? Any tips are greatly appreciated!